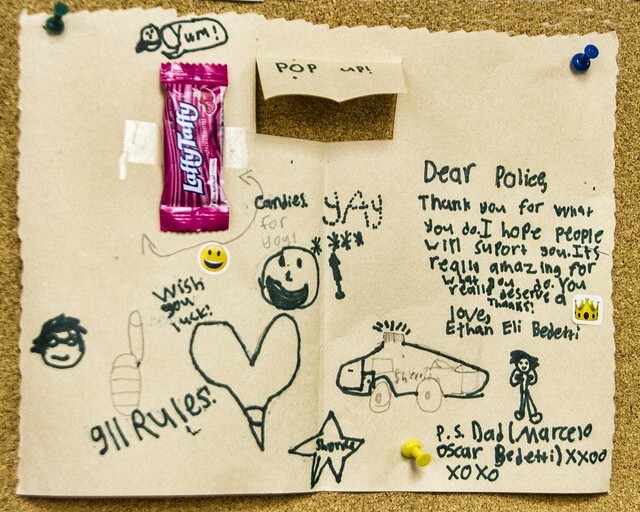 As we toured the DPD last week, I saw this handmade card pinned to the break room bulletin board. I'm not sure what prompted it, maybe it was from the child of someone saved by an officer who responded to a 911 call. But, it reminded me of how kids lives can be touched by our local police too. 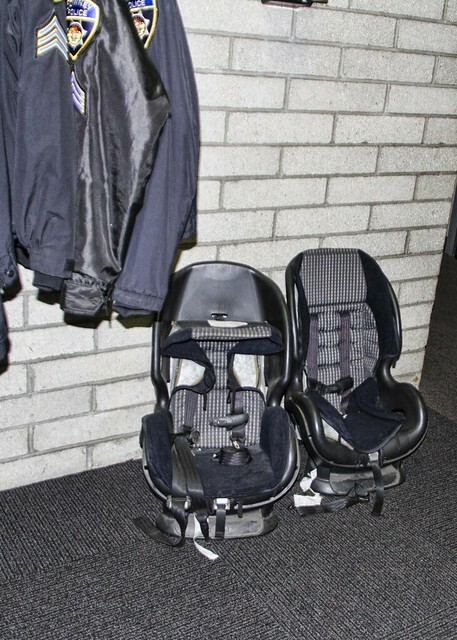 In fact, one of the things that caught my eye as we walked around the station was the couple of car seats lining the wall by the door to the parking lot. When I asked Corporal Boggs about them, he explained they were for transporting children when a parent who has committed a crime needs to be transported. Who takes their kids when they head off to commit a crime? It's something most of us would not even think about. 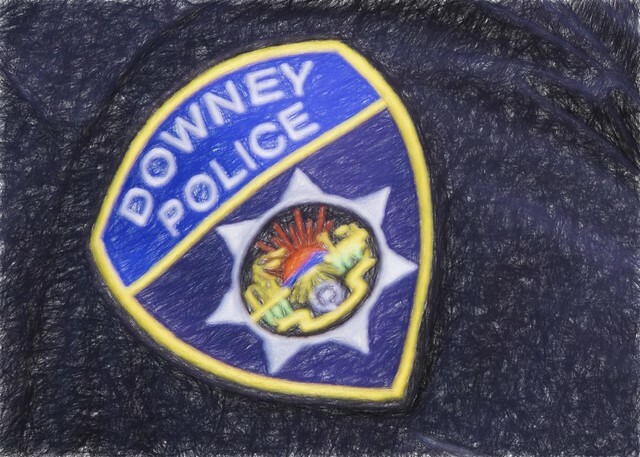 But something the Downey Police Department has thought about and is prepared to handle.